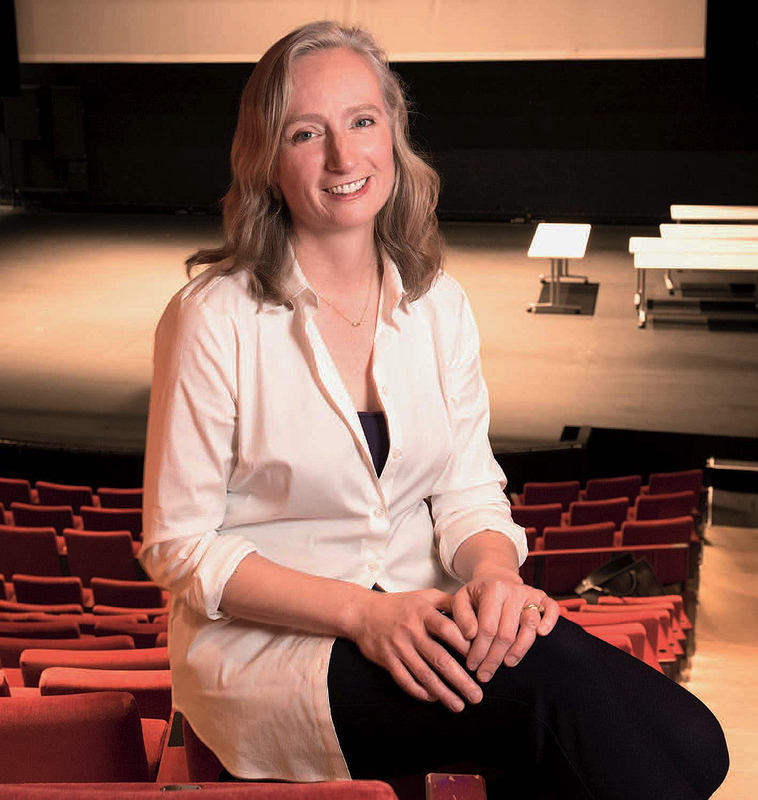 Like many young thespians, Erika Bailey once dreamed of acting Ibsen and Molière. Eventually, though, the years of auditions wore on her. “As an actor, you’re always asking for jobs,” she says. “You’re like, ‘Please, I need the Cheez-It commercial!’”—which wasn’t exactly the kind of poetic, “heightened text” she’d pored over while studying theater (at Williams), or acting (for an M.F.A. at Brandeis). Seeking more “authority” over her career, she left the New York City cattle calls and a day job at the Council on Foreign Relations, heading to a London conservatory to study the performance element she loved most: voice. Since then, Bailey has collaborated with actors playing roles from Andy Warhol to Mary Stuart, fine-tuning dialects (regional quirks) and “idiolects” (personal ones) and advising them on how to safely reach “vocal extremes” such as “screaming, shouting, vomiting, or even coughing a lot.” In 2014, after working in theaters from Kansas City to Broadway, she became the American Repertory Theater’s new head of voice and speech. (The move was a kind of homecoming: her parents met and married as Harvard students, and she spent her early years at Peabody Terrace, reading books aloud and in character.) Now, in addition to coaching A.R.T. productions, she teaches the basics of voice to seasoned performers, public speakers, and total novices alike. Atop anatomy and phonetics lessons, class can involve yawning, tongue-stretching, and rolling around on the floor. The full-body experience carries a deeper and more resonant lesson: Whether they love them or hate them, she says, “people think about their voices as kind of a given thing”—a fixed aspect of their identities. Bailey aims to instill a sense of power and play over that sound, and help them make their words carry.